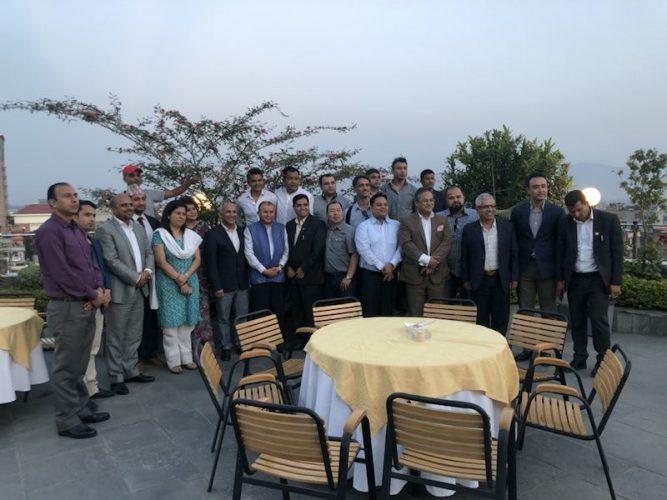 KATHMANDU, May 15: After the successful participation of Nepalese travel companies in Nepal China Sales Mission (CSM) 2018 in China, a Debriefing meeting was held on 9th May at Hotel Arts convened by Coordinator for Nepal CSM, Mr. Sudarshan Nepal. The meeting was graced by Secretary of Minister of Culture, Tourism & Civil Aviation, Mr. Krishna Prasad Devkota. President Mr. C.N Pandey, 1st Vice President Achyut Sharma Guragain including NTB Officials Mr. Deepak Raj Joshi, Mrs. Nandini Lahe Thapa and Mrs. Ranu Shah were also present at the moment which made the meeting more interactive. Participants reviewed the event and expressed their satisfaction and appreciation over the arrangements to NATTA team and Coordinator for successful coordination of Sales Mission for business promotion in China. Nepal China Sales Mission was held from 17th April through 25th April 2018 in four different cities of China: Beijing, Shanghai, Shenzhen and Chengdu in coordination with MoCTCA, Embassy of Nepal in Beijing and Nepal Tourism Board.